Does your tourism marketing strategy include Instagram? If not, your hospitality business could be missing out on a real opportunity to build brand reputation, scale year-round bookings and dramatically increase customer loyalty. In 2015, Instagram was the fastest growing social network—with no signs of slowing down. Today, some 49% of brands are on Instagram; that number is predicted to rise to 71% by 2017. That means if your travel brand doesn’t embrace an effective Instagram strategy, you could quickly fall behind the competition. But that’s not all. Engagement with brands on Instagram is 10x higher than Facebook and 84x higher than Twitter! Why wouldn’t your hotel want to take advantage of these numbers? Instagram’s success hardly comes as any surprise, especially in the travel industry, where high-quality images and visuals are critical to any hotel marketing strategy. Despite all the evidence that Instagram can dramatically impact your hotel’s online marketing, we find that few hospitality brands are doing Instagram right. However, there are a few gems out there that are absolutely nailing their Instagram strategy. Note: Stay tuned until the end of this post where we’ve put together a free guide to taking stunning Instagram photos. Many of the following hotels we’ve personally stayed at or worked with through Untethered Media or our travel website, A Cruising Couple. A few others are simply fantastic properties we’re following on Instagram for our own travel inspiration. La Semilla’s Instagram account perfectly conveys this rough luxe style while also effortlessly building upon the total La Semilla experience. 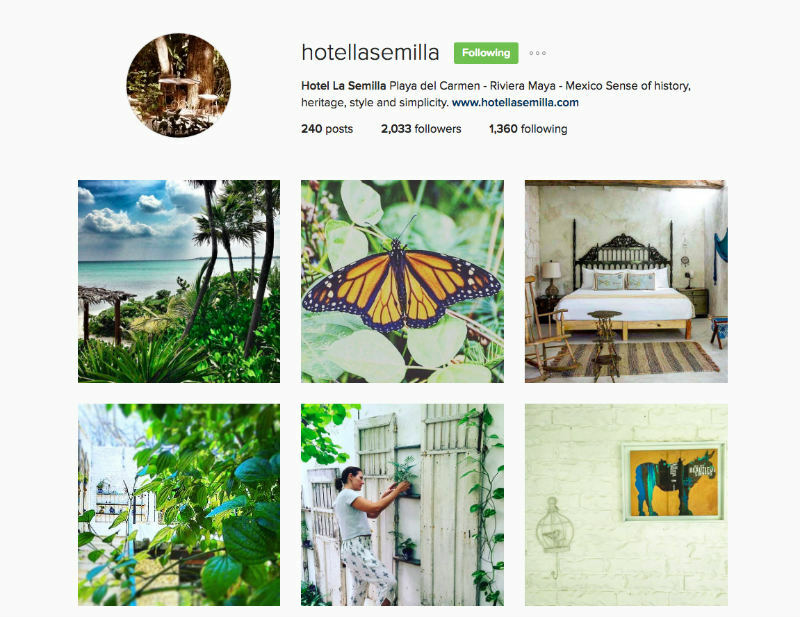 Whether it’s snapshots of the owners adding finishing touches to the garden or glimpses of the spectacular surrounding Mexican landscape, La Semilla’s Instagram instantly transports followers to their romantic and stylish property. Clear, consistent and gorgeous branding. Located in Costa Rica is the stunning Hacienda AltaGracia. We’ve yet to visit this property ourselves, but just one look at their Instagram account puts our wanderlust in full gear—and we live just a stone’s throw away! 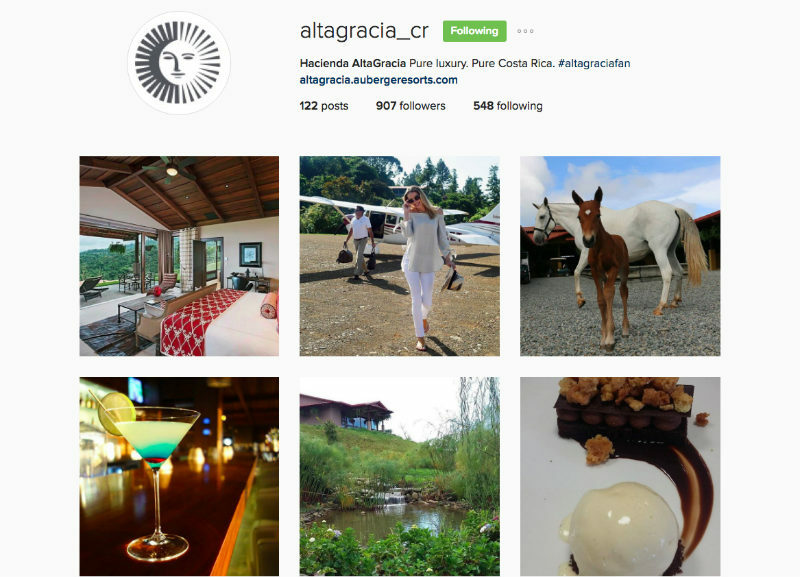 The rooms at Hacienda AltaGracia are undoubtedly spectacular, but what really caught our attention about this Instagram account was the attention to detail. We actually want to be sitting at that bar drinking a chic cocktail after an adventure-filled day of jungle trekking and horseback riding. Use your Instagram account to create an immersive story about your brand with high-quality visuals to set your hotel apart from the rest. When you’re compiling images for your hotel’s Instagram account, one important aspect to keep in mind is that it’s not just about how each individual photo looks, but the story and tone of the gallery on a whole. 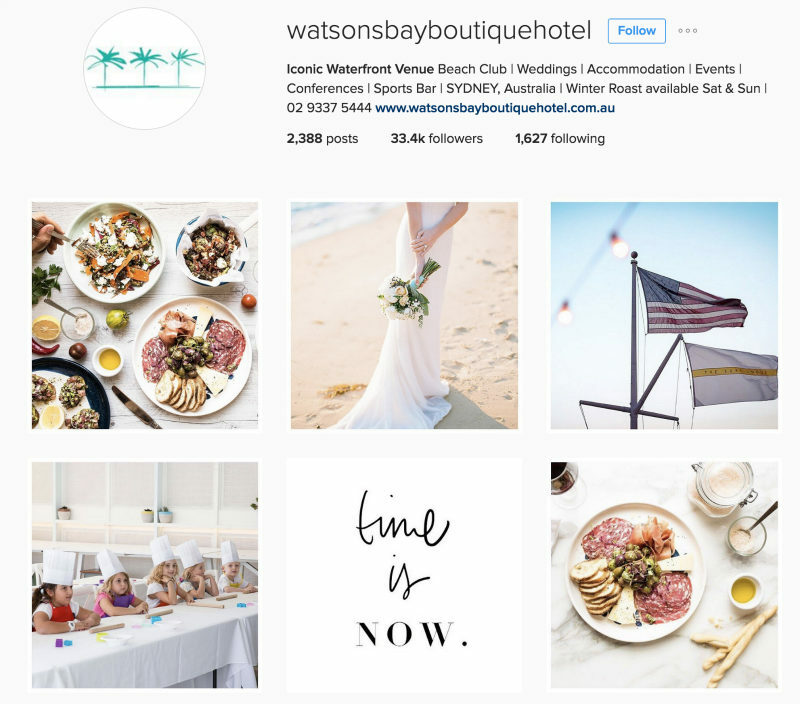 Watsons Bay Boutique Hotel’s Instagram account is simply stunning. The quotes, the details, the cuisine, the real-life captures… This might just be our favorite travel Instagram account of all, so if you’re looking for quick inspiration, start here. 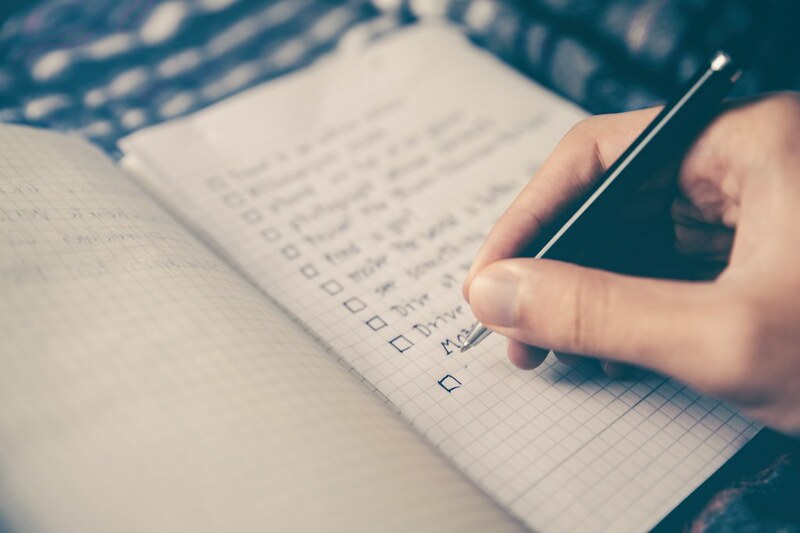 Download our free IG checklist at the end of this post for insider tips to curating the perfect IG gallery for your hotel. If there was ever a place for a luxurious and romantic getaway, it’s Santorini. We especially love the island during low season, when the charming streets of Oia and iconic whitewashed buildings are practically all our own. 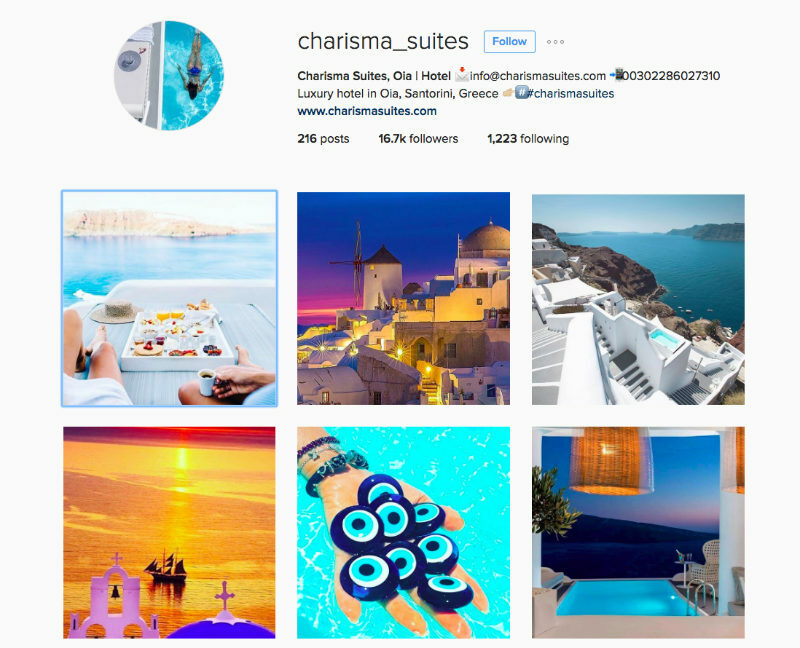 Whenever we want to draw inspiration for another trip to Greece, we scroll through Charisma Suites Instagram. The photography is flawless, in large part due to the hotel’s fantastic user-generated content. 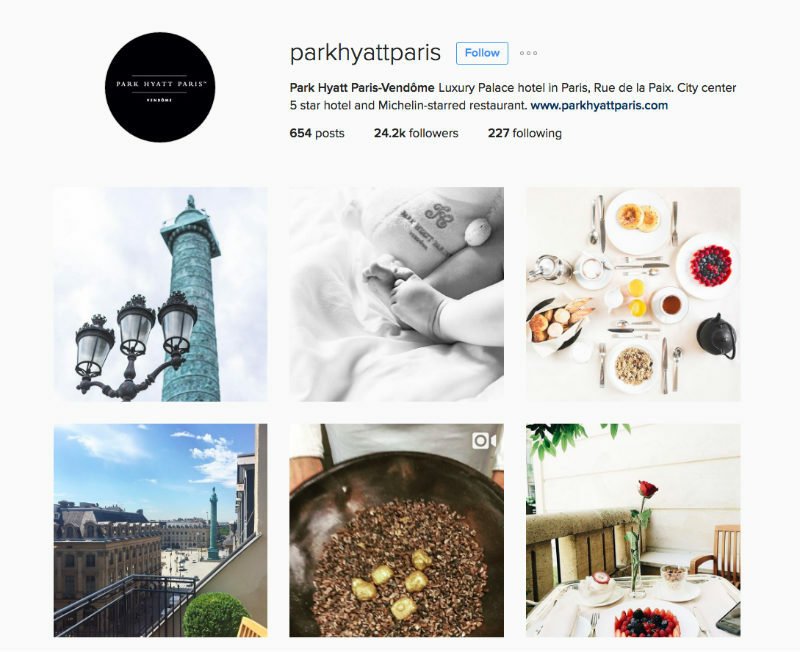 We stayed at the Park Hyatt Paris Vendome to celebrate one of our anniversaries, so we can say from first-hand experience that this hotel is just as luxurious as their Instagram images express. We particularly love all the foodie shots, which build the brand’s reputation as not only a five-star luxury hotel but also a top culinary stop on any Parisian bucket list. Another one of our favourite destinations, Cristalino Lodge is a luxurious eco-lodge in the Brazilian Amazon. Cristalino is truly selling the ultimate Amazon experience, and their Instagram photos do an excellent job of capturing the splendour of the remote region they’re in. 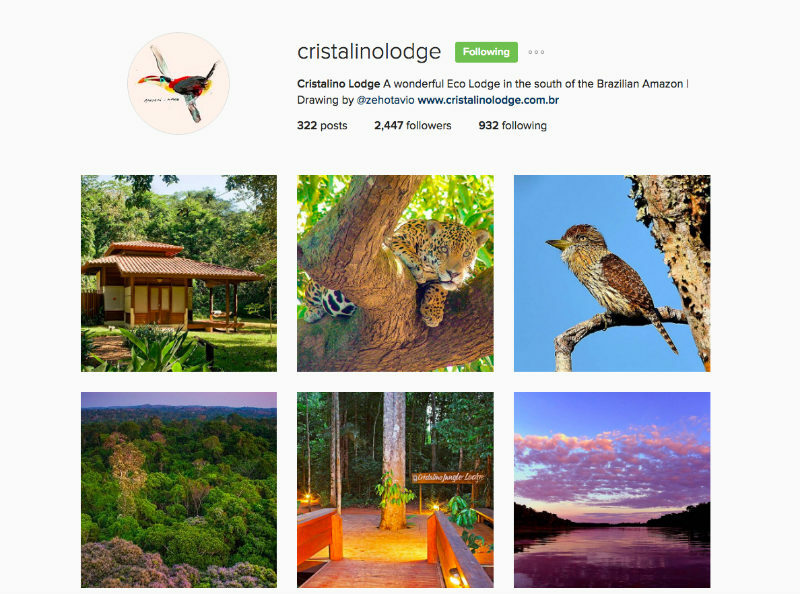 One thing to note about Cristalino Lodge is that many of their IG captions are in both Portuguese and English. This is a great way to ensure they don’t exclude their local Brazilian target audience. Their account also makes nice use of Call To Actions without being overly “salesy”. Finally, we have the chic and stylish Uxua Casa Hotel + Spa. This boutique property in Bahia, Brazil says it’s inspired by authenticity. 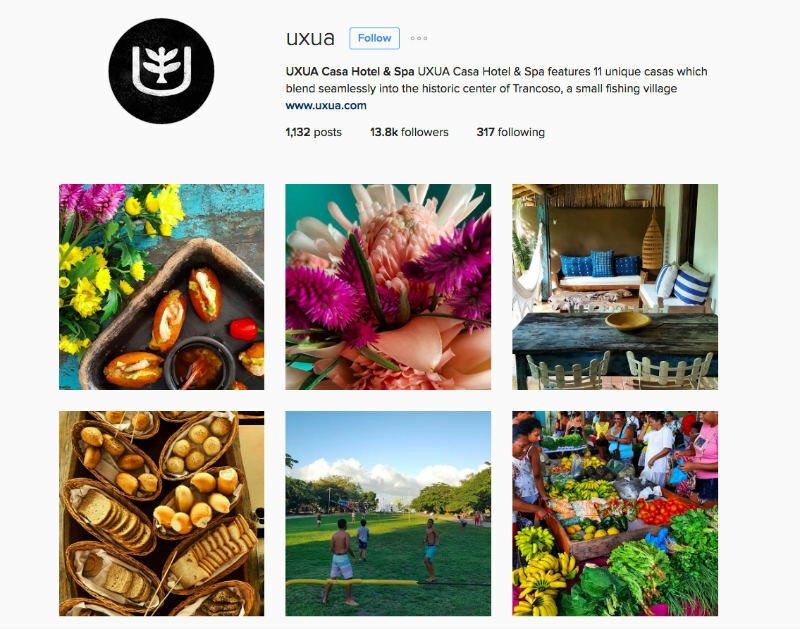 Boasting a unique location in historic Trancoso, Uxua’s Instagram photos feel as authentic as the rich history of its unique location. Not only will you find mouthwatering photos of local bread or gorgeous vintage details from one of the properties houses, but you can also clearly glean a sense of place from the images, understanding what life is like here in this sleepy fishing village. Now that you’ve seen some examples of hotel Instagram accounts who are nailing it, it’s time to take charge of your hotel’s Instagram! We’ve created a free guide to help you get started taking amazing Instagram images today!